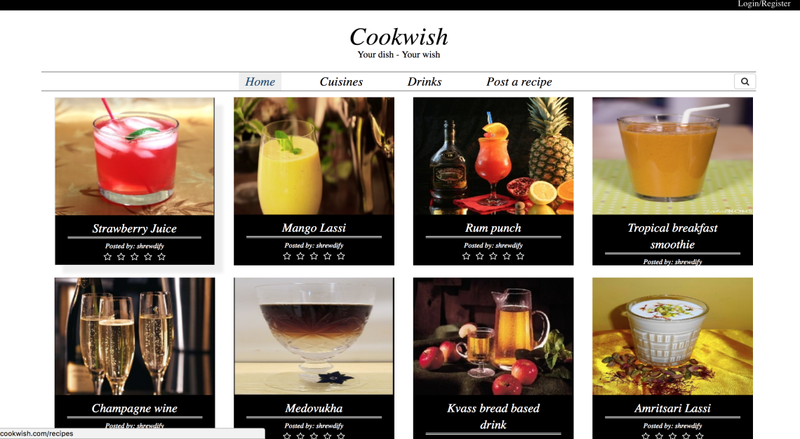 cookwish is huge collection of recipes with multiple cuisines. You can find your favourite food, drinks, snacks, healthy dishes and more and more. In-depth conversations with the client to understand the business objectives and strategy. 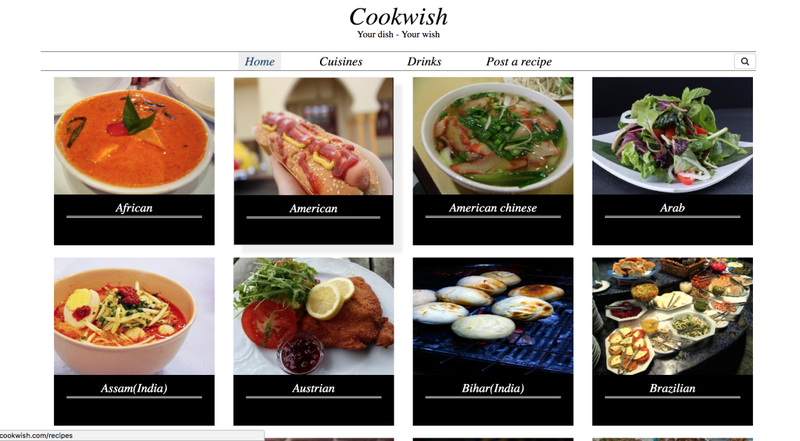 Discuss all cookwish usage scenarios, suggest appropriate workflows, validate assumptions, perform technical evangelism & technical feasibility analysis. Maharashta, Mughali, Poland, Punjabi, Spanish, etc.. 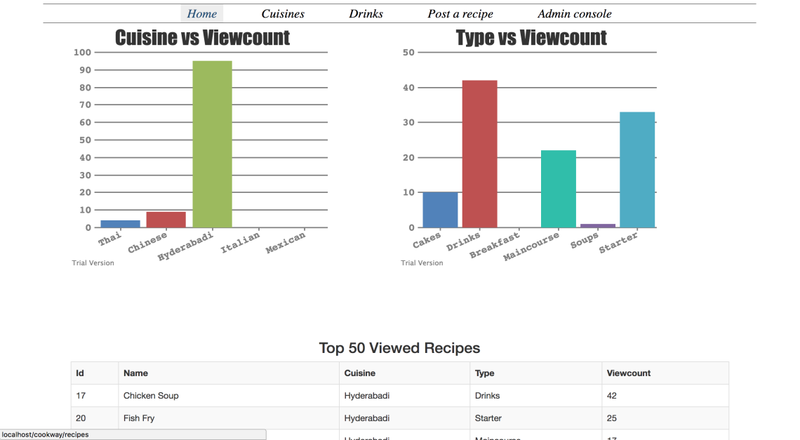 Rating of recipe - cookwish is a recipe publishing. 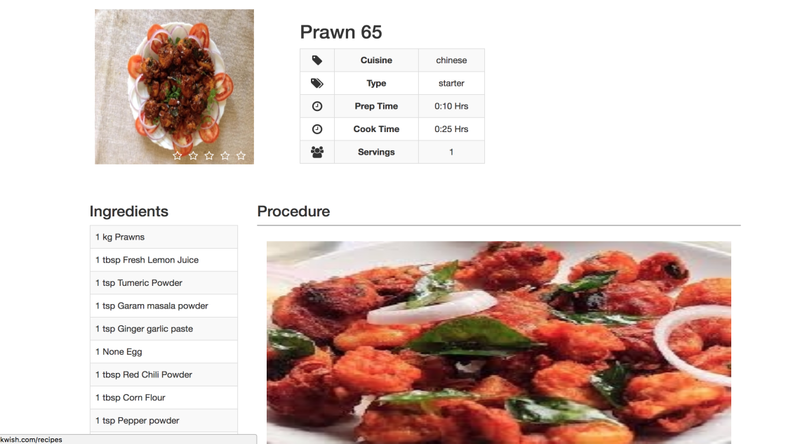 Challenge in rating a recipes, if user authenticate then user can able to rate recipe and automatically update the overal recipe rating. Recipes Loading - we faced challenges in recepies loading. 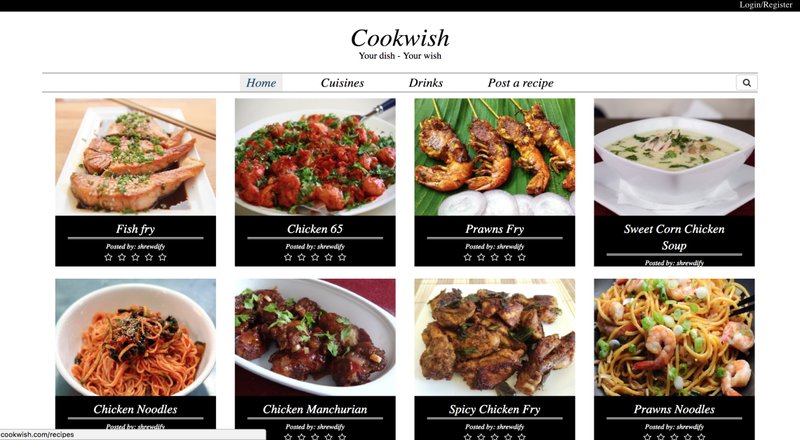 Launched as www.cookwish.com – In use by 10000+ users in the India.